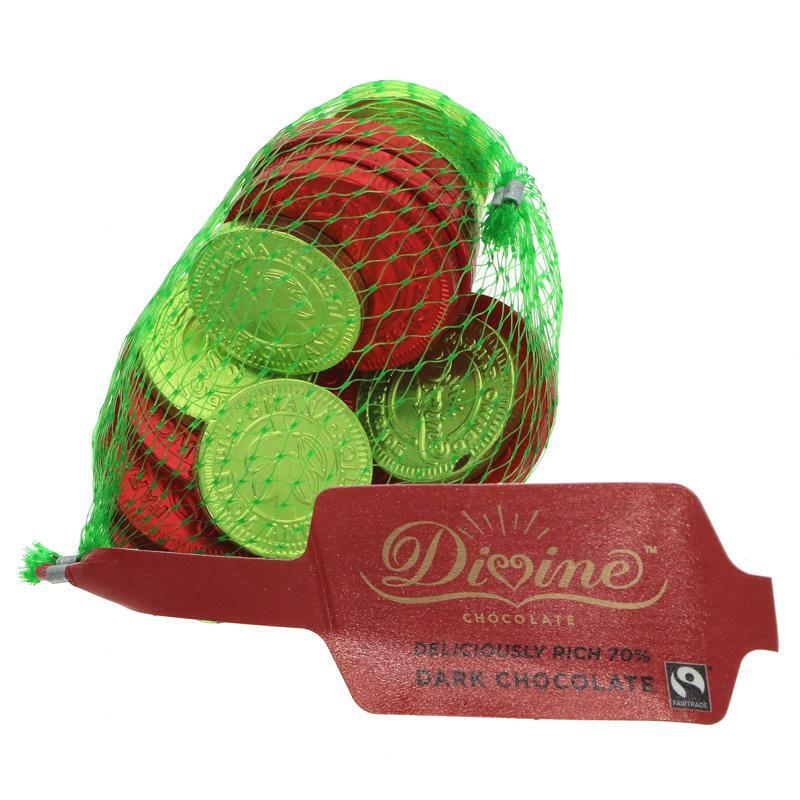 Finally dark chocolate lovers can now indulge in these classic shiny red & green coins. Divine 70% dark chocolate coins are made with the same delicious, Fairtrade chocolate you will find in Divine bars. Suitable for vegetarians. Free from artificial flavourings, colourings and preservatives. Sign up to our email newsletter to keep up to date with new products and our news!